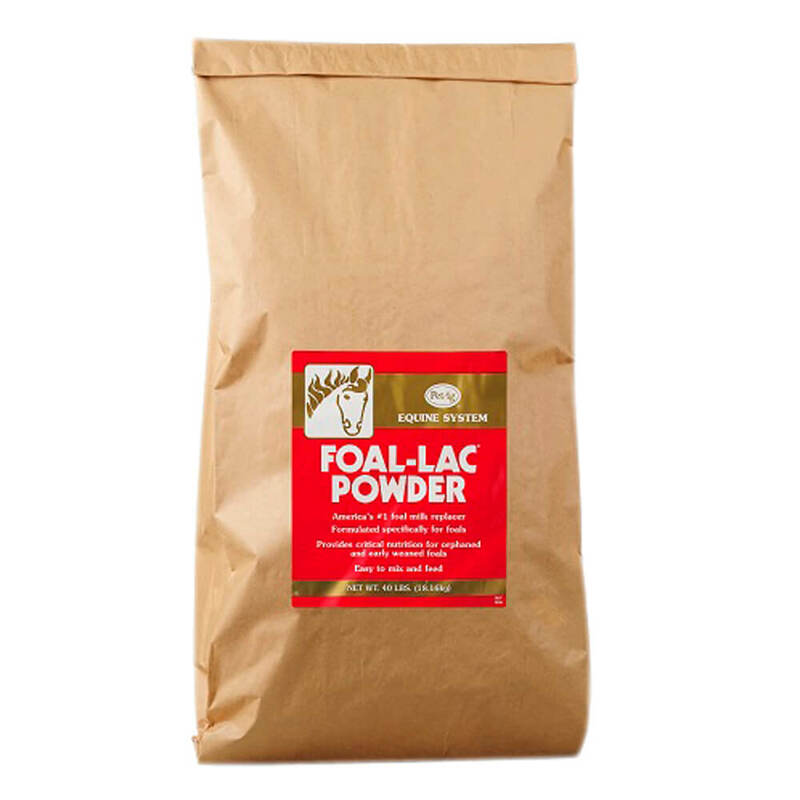 Foal-Lac offers a nutritionally complete powder that is reconstituted with water for feeding orphaned or early weaned foals. Foal-Lac is formulated specifically for foals and simulates the nutritional composition of mare's milk. Foal-Lac milk replacer has successfully raised thousands of foals over the last 50 years. Directions for Mixing: Mix 1 cup (8 ounce cup enclosed) of Foal-Lac Powder with 3 cups of warm water. This yields approximately 1-1/2 pints of milk replacer. Feed up to 18 pints of milk replacer daily, divided into 2-8 feedings per day. More specific directions are printed on the Foal-Lac container. Ingredients: Dried whey, dried whey protein concentrate,dried whey product, dried skimmed milk, animal fat (preserved with BHA, BHT and citric acid), maltodextrins, corn syrup solids, coconut oil, dicalcium phosphate, calcium carbonate, artificial flavor, magnesium sulfate, ferrous sulfate, dried milk protein, manganese sulfate, sodium selenite, zinc sulfate, vitamin E supplement, lecithin, mono and diglycerides, propylene glycol, vitamin A supplement, sodium silico aluminate, copper sulfate, calcium pantothenate, niacin supplement, vitamin B12 supplement, vitamin D3 supplement, biotin, folic acid, riboflavin supplement, ethylenediamine dihydroiodide, thiamine mononitrate, pyridoxine hydrochloride. The calorie content (ME) is 3,727 kcal/kg of powder or 380 kcal/1 1/2 pints when powder is reconstituted 1:3.